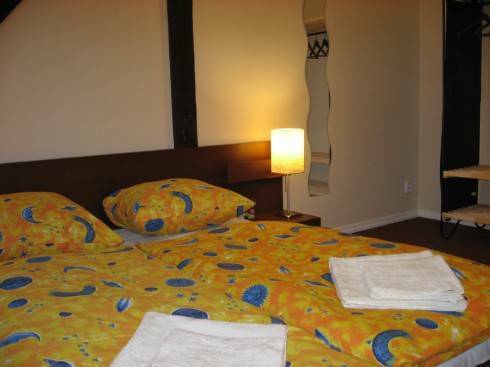 We offer pleasant, comfortable, and cheap accommodation in the center of Prague in freshly renovated hostel (spring 2011). 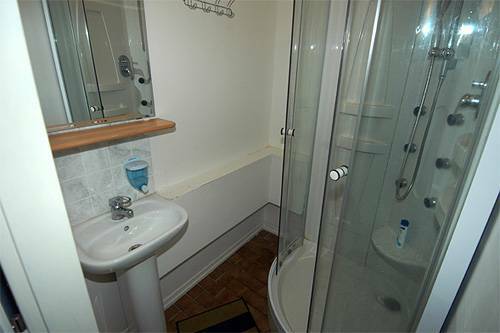 We provide accommodation in large, bright rooms for individual backpackers, schools, groups (up to 70 persons), couples or families. 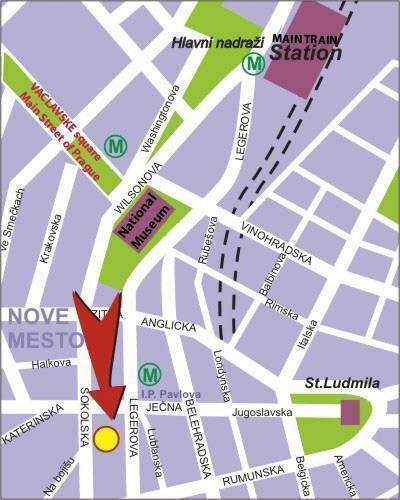 Neighborhood: The Hostel is situated right next to a metro station (I. P. Pavlova, Red Line). From the hostel It takes just 5 minutes on foot to Wenceslas Square - main street of Prague, so you won\'t need to use ANY public transportation and everything is within walking distance. Many restaurants, bars, discos, shops, information centers, exchange offices, banks, etc... are all around. Non-stop supermarket just across the street from hostel. Breakfast - available for extra charge on request. Staff: Our friendly, competent and very experienced staff will try to help you with all your questions about Prague and make your vacation comfortable and very memorable. 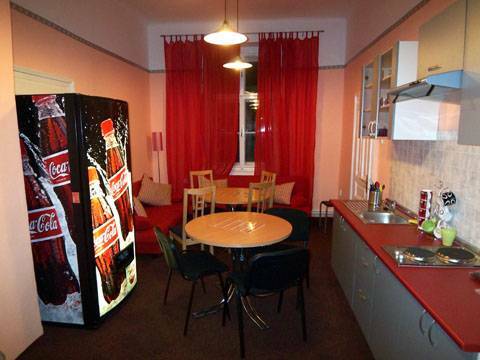 Our hostel is the perfect place in a safe location at VERY LOW COST IN THE CENTER OF PRAGUE! * In the basement there is an excellent Korean restaurant. 50 m from us you will find another restaurant which serves Czech & international cuisine at very reasonable prices. 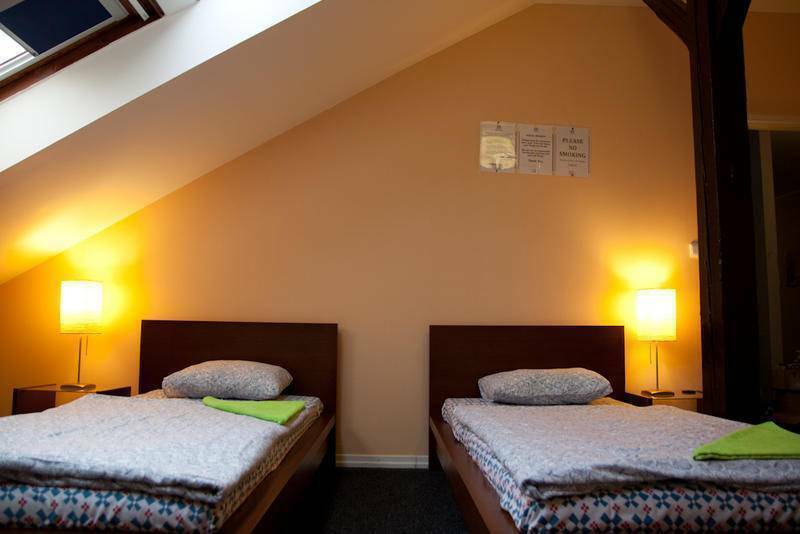 Our hostel is perfect place in safe location for VERY LITTLE COST IN THE CENTER OF PRAGUE! Bookings may be canceled 48 hours ahead. FROM THE AIRPORT: Take bus Nr. 119 to the 'Dejvická' station( terminus). There, take the underground (it is just at the bus stop), line A (green one) to 'Muzeum' where you have to change for the line C (red). Take the C line to 'I. P. Pavlova' (1 stop). FROM THE MAIN TRAIN STATION: Go to the underground and take line C (red) from 'Hlavní nádrazí' to 'I. P. Pavlova' (2 stops) - direction HAJE. FROM HOLESOVICE RAILWAY STATION: Go to the underground and take line C (red) from 'Nádrazí Holesovice' to 'I. P. Pavlova' (5 stops). FROM BUS STATION FLORENC: Go to the underground and take line C (red) from 'Florenc' to 'I. P. Pavlova' (3 stops). At the 'I. P. Pavlova' station use the escalator, then use the first left stairs(still in subway) and get off the station. Walk street straight ahead and after cca 50m cross the street(traffic lights). Then turn left on the opposite side, walk for about 20m and you will find our hostel on your left hand side-yellow sing. A public transport ticket costs 32,- CZK. Stick it in the machine (in the bus, in the tram or entrance of the subway). From now the ticket is valid for 75 minutes (90 mins during the weekend).